The profiles are made from an exclusive compound that is 100% pur PVC, it does not contain any lead. This special compound provides a better resistance to knocks and decoloration. The profile does not require any maintenance, sont à l’épreuve des fendillements, inflation and crinklings. The corners welded by fusion gives a refined look and prevents the use of adhesive and sealing products. Results impeccable surfaces that are 100% water and airtight. The internal walls are also conceive for a maximum structural solidity. Choices of accessories and interior and exterior finishes. A patented draining system evacuates water faster and better than any other system. Finished the concerns about possible dammages that can be caused by water infiltration. According to the model of window, two or three weather strip guarantees a perfect airthightness. Infiltrations of air, dirt ans dust are pratically eliminated. Results in better comfort and reduction of energy cost. The sturdiness of the multichamber structure prevents any collapsee of the weather strip. The profiles possess more internal chambers than any competing system. The transition between the hot and the cold inside the system is gradual. It results in a superior thermal efficiency and a prouved resistence to distortions.. The multichamber structure reduces significaly the sound pollution comming from outside. 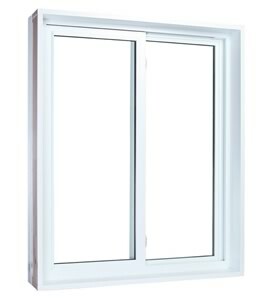 According to the model the window can receive a large range of types and thickness of glass such as simple glass, double or triple or energetic (3/8 in. to 1 1/8 in.). The parcloses are extreme climatic conditions proof, including winds up to 375 km/h. Besides making the glass replacement easier, these parcloses makes the windows safer. The opening mecanism and the multipoint high resistance locking system are solidly and permanently fixed in their securing unit. The exclusive screws are specially conceived for PVC. The screws goes through at least two partitions for greater stability. according to the model , the sash opens at 90° and swings inward to facilitate cleaning. The parts of the opening mecanism and the multipoint locking system have a anticorrosion finish for more durability. These windows of superior quality preserves the integrity of the structure of your house for the lasting life. The system of windows constituent upgrade value of your homeune , which gives greater comfort, minimum maintenance costs and a contemporary look. The system of windows all PVC undergo many tests that guarantees a usage without concerns years after years.